Oganic BIoelectronics Italy is an international conference, organized by the Italian Scientific Community, which will be attended by scientists of the highest reputation. Speakers will report about the most recent results in the field of Bioelectronics, with a particular focus on the employment of organic materials. This will be the fourth edition of a cross-disciplinary conference that has attracted in the years a growing interest by scientists coming from all over the world. This year the conference will be held at the Center for Nano Science and Technologiesin Milan (Italy), on October 17-19, 2018. Payment methods: Bank transfer or credit card (Paypal). 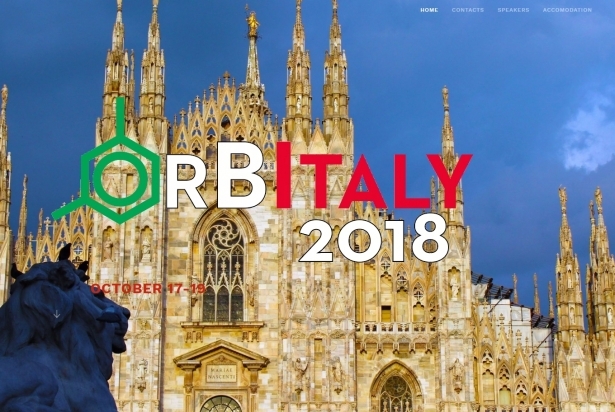 If you pay by bank transfer, please specify in the description the reference to "Registration Orbitaly 2018 + Surname". Please note that Paypal lets you pay with any credit cards even if you do not have a Paypal account. DEADLINE FOR REGISTRATION is September 7th, 2018. After this date, registration will be closed and only ON SITE registration will be possible. From 1st to 30th September cancellation allowed with deduction of €50 for management fees (reimbursement after the Conference). From 1 October only substitutions are allowed, no refund will be possible. 4- create a profile on www.pragmacongressi.it website and follow the instructions.